Are you passionate about a subject? Are you an expert in something? Do you enjoy being involved in a community? Blogging can satisfy the desire to be heard and the urge to expand knowledge. Running a blog can range between a fun hobby you do on the side to a full-fledged business. You can talk about your hobbies and passions while connecting with people around the globe. It can change your perspective, change your work ethic, and change your career path. 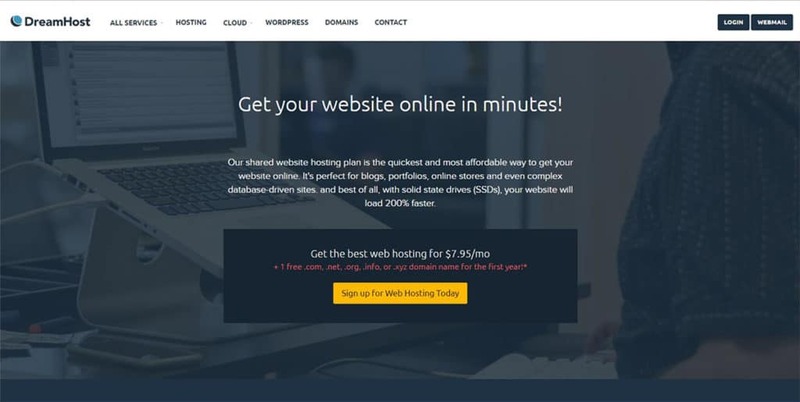 Here I will show you how to easily set up your site on Dreamhost, my favorite hosting provider. I think blogging is especially important for the creatives out there. No longer do we have to choose between being a full time creator or a profitless creator. With a creative blog, you can share your voice with a community of like-minded people and make a little bit of cash on the side without quitting your job and moving to Paris. It’s a win-win! I started my creative blog earlier this year just because it sounded like fun. I had a blog go bust last year, so I almost didn’t do it out of fear of failure. Now, I can say without a doubt that it is the best thing that’s ever happened to me (except my husband, of course!). I have quit my part-time job to pursue this full-time and I am even altering my career plans to accommodate for my Internet family. It has absolutely changed my life. And I think it can for you too. I have been extremely blessed with my success. A lot of it has been due to hard work, but mostly, it was just luck. I fell into the right place at the right time. I started my first edition of my blog in May of 2015, and worked really hard for about six months before I finally fizzled out due to lack of audience engagement. Between my husband and I, we have had six websites eventually go belly up. Before my hosting plan came to an end in May of 2016, I decided to refocus and give it one more shot before I gave up for good. That led to the creative blog you see today. Seventh time’s the charm, right? So many lovely, creative people have been reaching out to me in this last month with questions about how they might get started with blogging. I figured that I should just put as much information into one post as possible to help you curious souls out there who have been playing with the idea. I mean, if I can do it, then literally anyone can. All you need is to know where to start! In the last month, I switched my hosting site over to Dreamhost, so I’d like to walk you through the sign up processes of both services to demystify the whole thing. Starting a blog can be intimidating, but it doesn’t have to be! If you are serious about blogging or hoping to make your blog your business, I would recommend Dreamhost. While it might be easier to get started on a drag and drop website building, you really need to be self-hosted if you want to grow as a blog. It is absolutely horrible to transfer your site when it is mature and ready for a service like Dreamhost. By that I mean that I never want to transfer again, and if I must, I will hire someone to do it for me. It’s that bad. So I would suggest you start with the hosting service you want to eventually end up on. Plus, if you click through my link and sign up for a year long shared plan, you get my exclusive Dreamhost discount of $50 off your purchase. 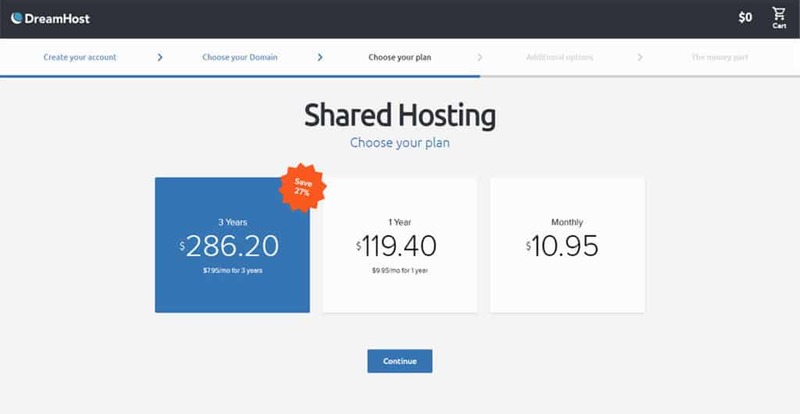 With the discount, a year-long plan is only $5.78/month, and comes with a free domain. If that doesn’t make it easier to jump in, I don’t know what will! I would also recommend that you start as soon as possible. Don’t wait until the timing is just right, because it never will be. Jump in with both feet! Also, you should know that the longer a domain has existed, the higher it will rank in Google search results. So starting now can actively help you in the long run. This brings me to Dreamhost, my current hosting service. If you have been with me since the beginning, I’m sure you have noticed a few significant differences after I moved services. I feel like Dreamhost is a sea of possibility! There are so many ways I can customize my site to fit every need, and I have a lot more control over my content. 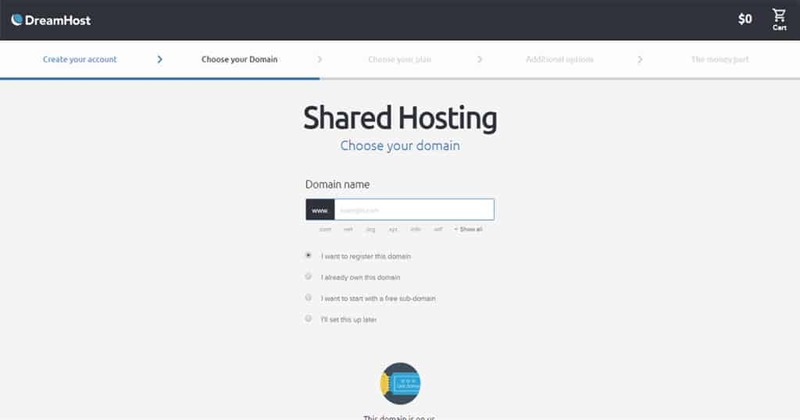 Let’s go over how to get started with Dreamhost, shall we? Go to Dreamhost.com and there should be a big, bold button in the middle of the page. Click it. The next page has a bit more information about Dreamhost’s features and credentials. Click the button in the middle of the page again to move onward. 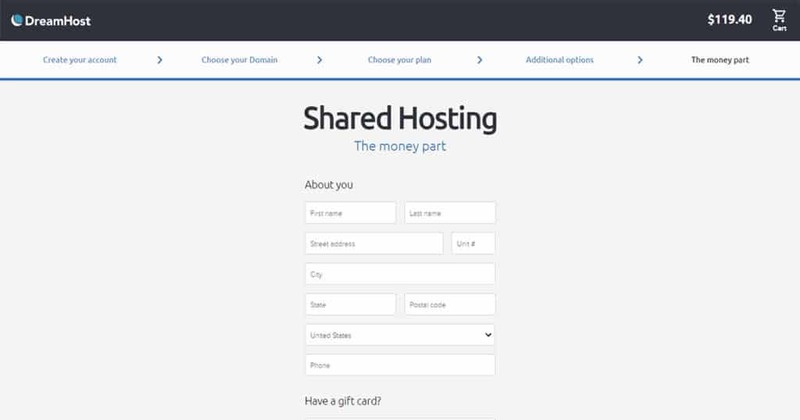 Remember to click here to get my exclusive $50 Dreamhost discount when you purchase a year long shared plan! The discount makes it only $5.78 a month for the first year! This page will prompt you to create an account. There are five clearly stated steps that you can see at the top of your screen, so you know this is a streamlined process. After that, you can choose your domain. Or, if you want to think about it a bit, you can! There is the option to wait until later. If you are still waffling over a few options, this is wonderful. You don’t have to hold up your process while you are waiting on the perfect domain to come to you. Sweet! It’s also worth noting that a domain is a part of most of the Dreamhost packages. When you have selected your domain or opted to figure it out later, you can click on to the next page. Here are the available plans. Any of these would be great plans, but if you are hesitant, perhaps the monthly plan is for you. Remember that Dreamhost has a great refund policy. If you decide that you don’t like this service or blogging just ain’t for you, you have 97 days to get a full refund. So don’t sweat it! When you have selected the plan that is right for you, you can continue on to “The money part”. You know what to do here! 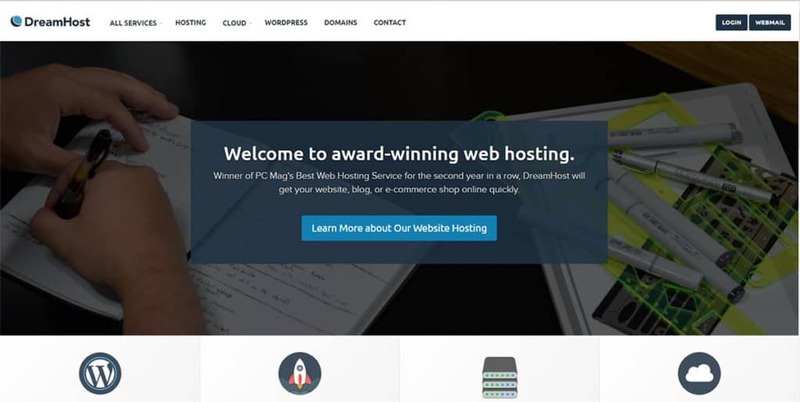 Thankfully, Dreamhost comes with a 1-click installation of WordPress to your site. 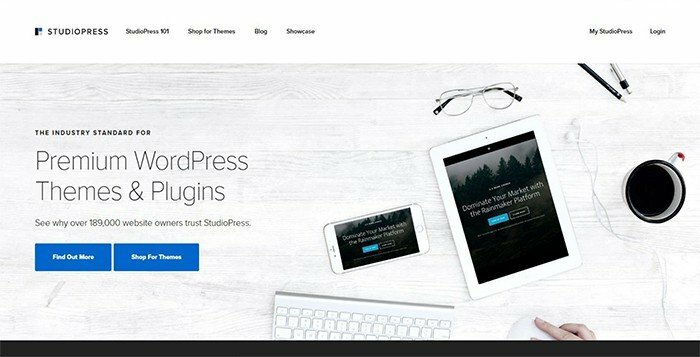 After you purchase your Dreamhost plan, you will receive an email with instructions on how to install WordPress. Don’t fret, it’s super quick and easy, and customer service will walk you through any issues. After that, you have yourself a website that’s all yours! One downside to Dreamhost is that it is harder to design your site. You have more control, but you have more responsibility. This is where Themes come in. It’s the same concept as a drag and drop templates, but these are far more intricate designs and you have much more customization opportunities. If you know how to code or want to play with building your website from scratch, be my guest! But for the code-illiterate (that’s me! ), I would suggest you hop on over to Studio Press and buy yourself a theme. These are not yearly fees – once you buy it, it’s yours. When you go to StudioPress.com, here is the page you will find. 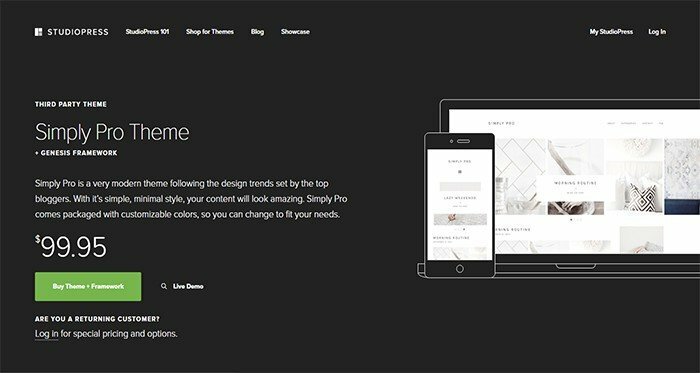 Click “Shop for Themes” to see what cool templates they have just for you. If you like the look of my website and want to figure out what makes my blog tick, I’d be happy to share! I use a Genesis Framework and a Restored 316 Child Theme. The button will take you to this page, which has these big tiles with the front page of each template website. Scroll through and drink in all the gorgeousness. Of course, you can filter the themes and narrow your search a bit. Click on a theme to learn more about it and navigate around the theme’s dummy site. You can see here that I clicked the Simply Pro Theme. From here, you can click “Live Demo” and see the whole site. Navigate from page to page to see how the theme is applied across many different applications. That way you know exactly what you are getting. Neat! Once you purchase a theme, you will receive instructions for setting it up on your site. You can take it from there as you set up your amazing creative blog. Nice job! Small confession, I didn’t start building an email list until I had been blogging for 3 months. 3 whole months and over 150k people had come to my site, and I had no way to contact them. I am not going to spend much time talking about how to build an email list or why you should do it in this post, but I will say it is the single most important thing for a blogger. Nothing is more important than having a solid email list so you need to start building it right away. I highly suggest Convertkit. I started with Mailchimp and I don’t recommend it if you are serious about blogging. Mailchimp is great (and cheap) when you first start, but it severely limited me after only a few months, and moving my entire list to a new service was an experience I would not wish on anyone. Convertkit is slightly more expensive than Mailchimp in the beginning, but it is about the same price in the long run and is a much more professional platform. Get Your Creative Blog Running Today! So there you have it! 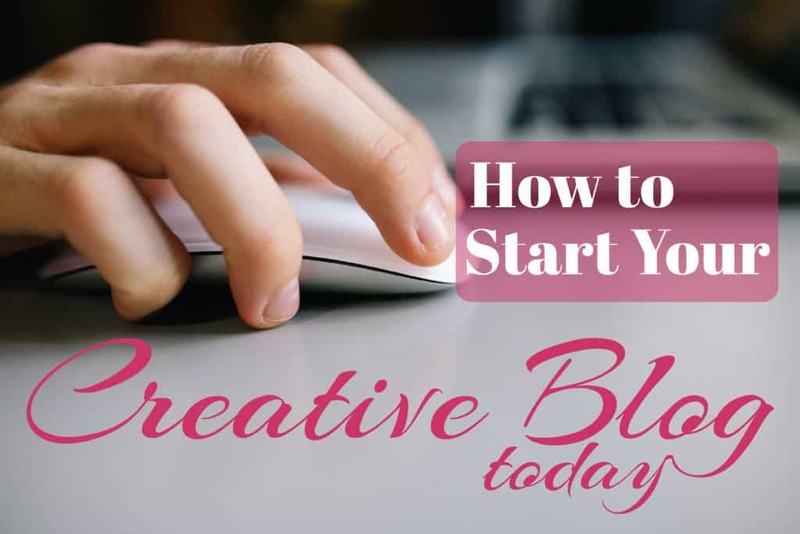 You now know everything you need to know to take the plunge and start a creative blog. Remember that your blog doesn’t have to make lots of money to be fun. You can enjoy the simple pleasure of being a part of a community and finding other enthusiastic people out there. Get out there with your amazing creative blog and promote your ideas, projects, and opinions – and who knows? You may find yourself in a situation where you can finally fulfill the dream of pursuing your pipe dream. And if you are feeling hesitant, remember to consider that fantastic Dreamhost discount AND the fact that you have more than three months to get a full refund on Dreamhost. There are safety nets all around you! The internet is an amazing place, so why not give it a chance? Head over to my Blogging Resources Page if you want to see what other tools and services I use on my blogging adventure! « Creating a Productive Workspace – 9 Easy Tricks to Try Today! Hi, Shelby! 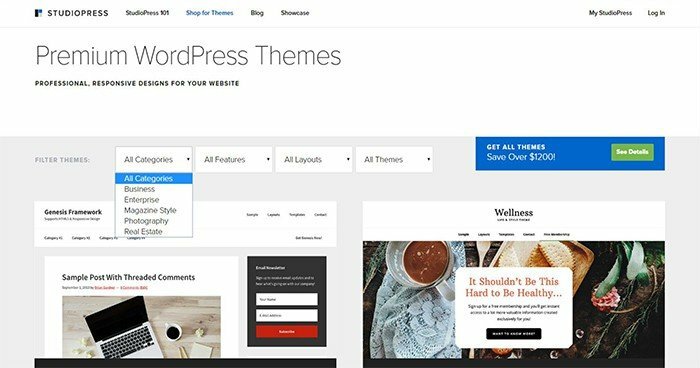 Do you now if the wordpress install can include blogs already on wordpress.com? Hi Shelby, thank you so much for this post! I just got my blog up and running this weekend and I just published my first post this morning – I honestly couldn’t have done it without this information from you. I was completely overwhelmed before I stumbled upon your site and you managed to describe it in a way that made sense and made the process seem easy 🙂 It was definitely time consuming but so worth it! I hope to one day have half the success you have had – thank you again! That makes me so happy to hear Jessica! I wish you all the best with your new blog. Hi! Your blog has some great information. Loved reading it. It has given me insight and hope for my blog. I started a blog about a month ago with two friends of mine. Everyone tells us we should write a book… no book… BUT we have a blog. I’d love you to check it out. Thanks for your insight. Congrats on the new blog, Mariah! It’s super exciting, isn’t it? The site looks awesome 😀 keep up that hustle and you’ll do just fine! ☕️Good morning, I am not sure when this blog was published but I only just found it!! So helpful!! I do have a blog site up through wordpress but have not added much content because I am not convinced of the format and host. I also have an Etsy store and sell on Amazon, must admit my passion is my blog and that is what I want to build up. Did you do it all yourself or did you work with a person/ company that assisted you with your site? Thanks so much, Sherri! I wasn’t completely alone – I’m lucky enough to have my husband Jon helping out with some of the more technical/business stuff. Once we hired a tech person through Fiverr.com to handle a particularly difficult bug, but it was only for that one project. Other than that, we’ve done it all alone! Congratulations!! That’s so awesome, Darcy! It sounds like you’re really driven and you have some solid goals. One of my biggest tips for you is to start an email list. I have a post about it right here (http://littlecoffeefox.com/2017/06/07/2k-email-subscribers-build-an-email-list/) that I’d suggest you check out. It’s easily one of the most important things to do right off the bat. Good luck, and have fun with it! What do you use for your reply forms? I used WPforms and its easy to use but I am unable to see my replies in my email or anywhere. I have no idea why. I am using Dreamhost as my platform. My website is in construction phase :). Learning about your success and looking around your beautifully designed blog has been an absolute pleasure for me. That being said, I am finding myself anxious and struggling with what I want to write about. I’ve wanted to write a blog for a long time now and did so briefly when I started my study abroad program to inform my friends and family at home what I was doing – but then I stopped. Recently getting into bullet journaling and some more creative things again I was pushed even more to start a blog…so I did. I got a host and a domain and everything and I thought I knew what I wanted to talk about. Only I don’t. At all. I don’t really feel that I have expertise in anything. I want to share about my bullet journal but I also want to write about living in Japan, etc. I’m just so lost right now. I spent all that money to start (when I could have gone on vacation instead) and I have no idea how to do anything. No blog posts are helping and I have no one to ask. I have two blog entries but I already think the whole setup is trash and won’t work. I just don’t know what to do to get myself in the right direction. That is a common, but super frustrating, problem. I have been there, Taylor! Staring at the blank screen and trying to wrack my brains for a good post is mentally exhausting. First, take a deep breath. You can’t write when you’re stressing out. Second, grab a notebook and a pen and write out 1-100. Then I want you to sit with some kickin’ tunes and write out 100 blog post ideas. They can be simple, crazy, off the wall, overdone, whatever. Don’t edit yourself, just write them out. If you think of the same thing over and over again, keep writing it down. Don’t stop until you have filled out all 100. This exercise is a great way to pump your creativity and get you thinking in new directions, and also see what your brain is fixating on. After you are done, go through and pick out 10 things that are viable, then write about those ideas. Also, remember that you don’t need to be an expert in anything. You have your own unique perspective and experiences. Write about things you care about using that perspective. If it’s obvious you care deeply about your subject matter, people will listen. Another thing to remember is that your set up doesn’t have to be perfect from the start. It will grow and change as you need it to, and you can also go and edit things later. People read my stuff when I was on my first site on Wix, and it was embarrassingly ugly. But it didn’t stop me from growing the blog! So don’t worry about that right now. Just focus on finding your voice. You should check out my Morning Pages post and try writing every day. You’ll find some serious clarity and the writing practice is excellent. Don’t worry, Taylor, you can totally do this. Rome wasn’t built in a day. If I could do it, I know you can – cuz I had no idea what I was doing when I first started. So just relax, keep trying, and good luck! Thank you so much, Ana! And congrats on setting up your new blog! It’s very exciting stuff and a little bit terrifying – but it’s all worth it in the end. Good luck as you kick off and get the blog rolling! Nice post! I’ve just started a blog in November, and I can’t even imagine having over 180k subscribers! Another word of thanks, since as today, I’m officially starting to use my first bullet journal! Happy New Year to you too, Janine! And congrats on starting a blog and a bullet journal! I think you’ll find the latter to help a ton with the former 😉 There’s always something unique and interesting that you can blog about because you have interesting and unique perspectives. It’s hard to remember that sometimes, but it’s true! I hope you have fun building your blog! I’m just finding your post! I’ve been on the verge of a creative outburst and feel blogging would be a great outlet. I’m intimidated, yes and horrible with keeping a routine. I tend to jump with my creative bursts and I get distracted. I’m wondering how all the coding works! I used to be fine when myspace was popular but this skill has long left me! Is it really all that difficult and time consuming? That’s a great question, Sally! Coding is something that I frankly don’t deal with on a regular basis. Jon, my husband, is my tech man and he handles it. He started knowing no coding and has learned quite a bit to keep things going. It’s like a foreign language – it’s tough to learn at first, but once you get some of the basic structure figured out, it gets easier. He’s about six months into Dreamhost and Wordpress coding styles and he rarely encounters a problem he can’t handle now! If we do hit a snag, there’s a large resource of experienced programmers for hire that have modest rates on Fiverr.com. So there’s always options available. I hope this helps! Great post! I really admire that you’ve stuck with blogging and adapted over time to make it work for you. I’m just starting out, hopefully launching my blog in November. I’m looking to make friends in the blogging world????. I’m passionate about bullet journaling, but I’d like to put the family life spin on it, managing kids and a household and somehow taking care of yourself at the same time, lol. I’m trying to grow a decent following before launching. It’s going well, but I’d really appreciate any pointers if you have any! Did you do anything specific that really increased you’re exposure/following? Any insights would be greatly appreciated! Thank you for your time! I’m so glad you’ve decided to take the plunge! It’s an exciting thing, starting a blog 🙂 One thing I can’t recommend enough is consistent social media presence. You can’t promote your stuff too much to your followers. It feels really weird at first to be sharing your posts so much, but people can’t read it if they don’t find you somehow! And create a consistent brand – especially on Instagram. Pick a look and stick with it! Other than that, I would just say that you should be active, talk to people, and don’t be shy about self promoting. I can’t wait to see it when it goes live! Good luck :D! This was so helpful to me. I have been toying with blogging for months now. My feet are getting wet but this post has inspired me to go all in. Thank you! I’m so glad you’re taking the leap! It’s a blast, I’m sure you’ll enjoy it 🙂 feel free to contact me when you are all set up and I can share your first post on my social media to help you get started. Good luck! It’s the first time I comment but I always read your e-mails ???? Great post! And congrats for your success with this blog… keep going on ☺ I’m building my creative blog too, and I’m so excited ???? Oh, about the P.P.S: i’m interested! Thank you for your offer to help others who are in the same boat you found yourself in before you figured it all out! We are the ones who keep trying, work hard, but never seem to quite get there. I have tried out a few ideas over the years, when I was home with my two babies, who are now 13 and 15 years old. I have a few areas where my expertise has value, I have a page on FB that I post articles that I know will fit some of my followers, but have not taken it any further than that. My job as a full time teaching assistant with children who have special needs became my focus once I got back to working and also gives me a lot of material that I can write about in a blog. I used to do floral design, love to knit, crochet, draw, paint and make pretty things. I started doing scrapbooking when my kids were tiny that my friend and I called archiving to stay out of the mainstream photo pages that we saw going on around us. Was it wrong of us to work hard and then see ourselves as being better than some of the people who did a similar but different kind of activity? We didn’t like the eye rolling we saw some people do when we said what kind of hobby/profession we spent a lot of time doing to share our best photos and layouts of our time with family and friends? In a nutshell, I have a lot that I want to talk about, my skills and training from working at a local children’s hospital in the learning disabilities research program for many years and the reading program that our team developed while I worked there, for one. And I have a creative side that won’t quit (not tooting my own horn, though that sounds funny when you type it and read it over again! but I am bursting with ideas and want to share so much. What is your advice? Start with the creative and maybe stick with my FB where I can share my knowledge on learning disabilities and keep them separate? I had purchased a domain name many years ago, but didn’t keep up with it, so figure it might be done or used by someone else now. Hey there Kim! It sounds like you have a lot of juicy stuff to talk about in a blog! My advice would be to dig down and find a niche community that relates to one of the things that you really love. My first blog didn’t work out because I had my fingers in too many pies, but I found success when I boiled it down to one subject. After you begin to grow an audience, you can tentatively start to branch out into other areas. I will also say that I think you should start sooner rather than later. If you wait until things are just right, you’ll never get started! Jump right in and begin writing about whatever you think you can speak about, and your voice and style will fall into place. I hope this helps you move onto the next step in creating a blog! I love your blog and bujo posts. They’re really helping to really get me on track. I have loved organization for a long time but always felt embarrassed by my list making and always feeling slightly odd for buying certain folders/try certain methods but never feeling organised. The bullet journal system and tips are great. I’m feeling on my way to being really organised for the first time in my life! Being creative is a hard life somtimes always pullung me, but so much freedom to do so in bujo and direct my passions to work out how best to live them. Thank you for your blog and community! Thank you so much for saying such sweet things! I’m really glad you can glean some inspiration from my posts. I know that I had a hard time finding the thing that clicked for me, too. I had the same issue – acquiring all this organizational stuff without ever feeling truly organized. Thankfully, the bullet journal swooped in and gave me a ride out of that horrible state, and I’m glad it can help you too. I am really lucky to have such wonderful people like yourself who visit my blog and contribute to the discussion! I looking forward to hearing more about your growth and success, and I would love to chat if you ever want to email me. I wish you the best of luck on your journey! Hi! I loved the post and it’s full of helpful info so thanks for sharing! Your posts about bullet journaling got me started on that life-changer.. I’d love to see more posts about blogging! I need all the help I can get 🙂 I cannot fathom how one goes from 0-180k views in a few months! I can’t fathom it either, Carmen, and I’m smack dab in the middle of it :D! I’m really happy that you are having such success with the bullet journal! And I appreciate your feedback about the post, I really hope to create more helpful content. Lord knows that starting a blog is a bit intimidating! Feel free to contact me to ask any questions about starting up your blog and I’d be happy to help! It’s nice to meet you, Amy! I understand what you mean when life blows up right when you’re about to do something good. It always seems to be the wrong time! But once you push through and get started, I’m sure you’ll get as much enjoyment as I do! I hope you find the footing you’ve been looking for to bring your creative ideas into the physical world, because once you get started, it’s impossible to stop! And thank you so much for your kind words and feedback, I really appreciate it 🙂 If you ever want to chat with me privately about starting your blog, feel free to hit me up! Thanks for your kind reply, Shelby! What do you think is the reason for your current blog’s success after trying a few and them not taking off? Just curious! Thanks! I think there are two reasons I have found success: I dug down and found a specific niche and I started sharing extensively on social media. It’s easier to get readers when they’re looking for something specific (like bullet journaling) and when they can find your blog organically through social media.